Do You Have A Serious Tax Problem? 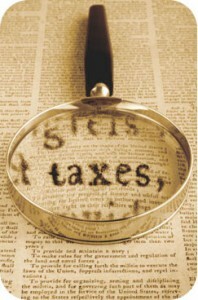 Hershman, Fallstrom & Crowley specializes in solving IRS tax problems including audits, liens, levies and seizures. Founded by a former attorney in the Office of the Chief Counsel of the IRS in Washington, D.C., Hershman, Fallstrom & Crowley understands the IRS and knows exactly what to do to solve your tax problem. IF YOU HAVE A SERIOUS TAX PROBLEM, CALL HERSHMAN, FALLSTROM & CROWLEY, at (508) 754-0800 or email us at info@hfctax.com. Do you want to learn more about tax law and terms? Our tax definitions help you understand your tax communications. Read more about the important things you should know. The radio program, "Tax Minute," can be heard every weekday at 6:25AM and 5:25PM on WCRN 830 AM. Subscribe to receive the tax minute in your email inbox each morning. Hershman, Fallstrom and Crowley is a "one of a kind" tax firm, a trendsetter in the tax controversy practice, maintaining high professional standards and an excellent reputation with the Internal Revenue Service and Massachusetts Department of Revenue.